1. 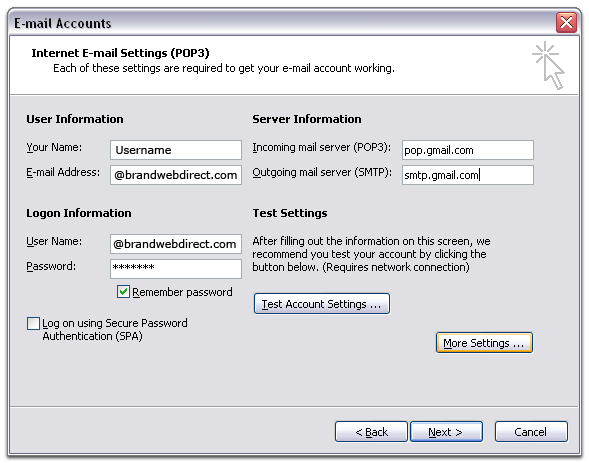 Enable POP in your email account. Don't forget to click Save Changes when you're done. 4. Click Add a new e-mail account, and click Next. Google Apps users, enter the server names provided, don't add your domain2 name in this step. 9. 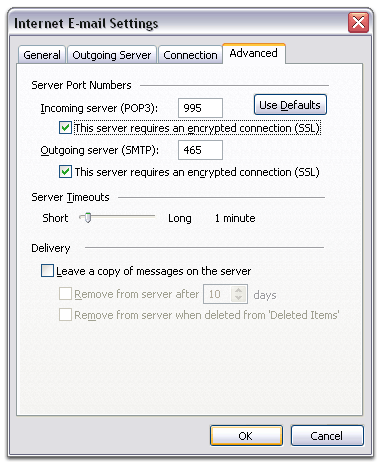 Click the Advanced tab, and check the box next to This server requires an encrypted connection (SSL) under Incoming Server (POP3). Enter 995 in the 'Incoming Server' box. 10. 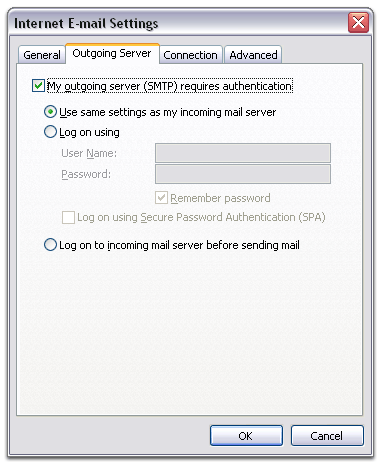 Check the box next to This server requires an encrypted connection (SSL) under Outgoing Server (SMTP), and enter465 in the Outgoing server (SMTP) box. 12. Click Test Account Settings... After receiving Congratulations! All tests completed successfully, click Close. 14. Download the latest updates for Outlook from Microsoft. This will help prevent the most common Outlook errors Gmail users see.